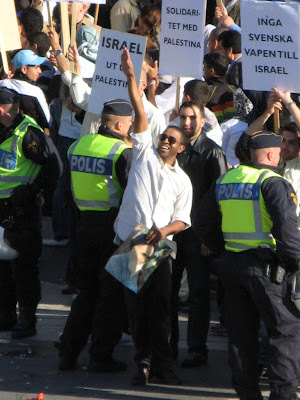 Norman Finkelstein Wishes Genocide of American Jewry and Gives Nazi Salute In Danish Documentary Aired on Finnish TV……. – The Tundra Tabloids……. 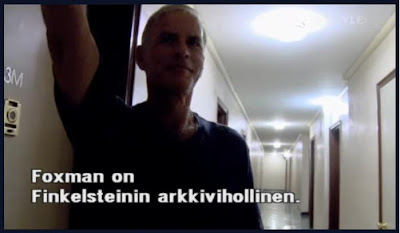 Norman Finkelstein Wishes Genocide of American Jewry and Gives Nazi Salute In Danish Documentary Aired on Finnish TV……. Wednesday night the Tundra Tabloids’ was watching a late night Danish documentary on Finnish TV, directed by an Israeli, Yoav Shamir, titled “Defamation“. The ADl, Anti Defamation League was approached for assistance on the documentary, but were not impressed with the results. Previous Post Previous Post Iran Building Second Uranium Enrichment Plant……. Next Post Next Post Lesson For Finland: Canadian Prime Minister Explains Reasons Behind Canada’s No Show at Ahmadinejad’s Speech at UN…….